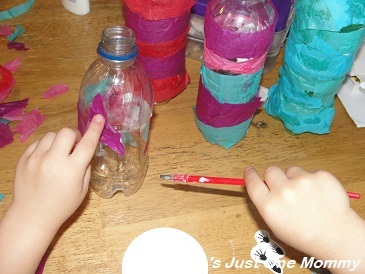 Recyclables are a cheap and wonderful crafting material, and water bottle crafts are one of our favorites when it comes to getting creative. 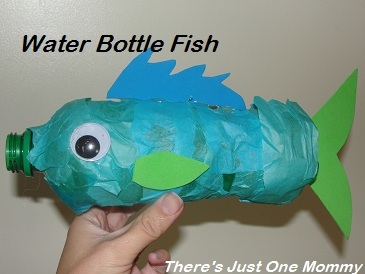 This recycled craft uses both recycled water bottles and tissue paper left over from birthday gifts to create colorful, one of a kind, water bottle fish. If you love water bottle crafts as much as we do, then you need to check out these beautiful Water Bottle Suncatchers. 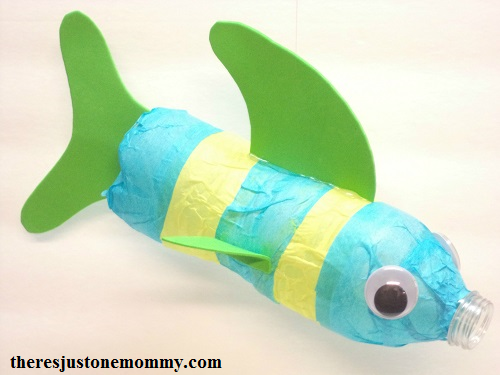 To begin crafting your fish, have the kids rip up squares of brightly colored tissue paper. This is a great activity for building hand strength for later writing skills! The squares are great for giving the fish a multi-colored collage look. You can also cut 1 inch thick strips of tissue paper, which are great if you want a striped fish instead. Once the tissue paper is ready, have your child use an old paint brush to paint white craft glue on the outside of their water bottle. It helps to only use a little glue at a time, adding pieces of tissue paper as you go, instead of covering the whole bottle with glue at once. Also, you may want to have a damp paper towel handy for wiping excess glue off so the tissue paper doesn’t keep getting stuck to little fingers. Once the water bottle is covered in tissue paper, let the whole thing dry. It took ours about one hour. While you’re waiting, check out these other adorable sea animal crafts. Use craft foam to create your fish’s fins. For younger children you may want to cut out the pieces yourself. For older children, you could draw the design on the craft foam and have them cut it out, or let them design the fins completely on their own. 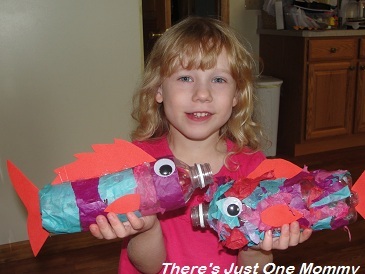 Use a hot glue gun to add wiggly eyes and the craft foam fins and tail to your fish. Please remember, hot glue can get extremely hot! This is a step best suited for an adult to do. Young children can easily point out where each piece should go while the adult works the hot glue gun. The best part of using hot glue is that your one of a kind creation will be ready to play with, or display, as soon as the glue cools. These brightly colored water bottle fish look beautiful hanging from the ceiling or in a window. This post was originally published August 10, 2012. What a CUTE summertime craft OneMommy!! I love the foamy fins and tails! I pinned this project on our community board. It’s just too cute! Thank you! And thanks for pinning it! We had so much fun making these, we might just have to do it again! What a great way to up cycle plastic bottles. 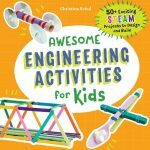 It looks like your kids had fun making them! We usually use the same bottles over and over, just refilling them from the sink. But at some point they start to look like they need dumping; we had fun creating something new from them! what a great and cute craft to do with kids. I am going to try this with dinosaur. Thanks! 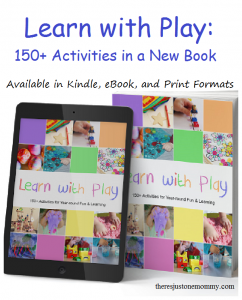 I hope you and your little one have as much fun with them as we did! OMG. Those are just too too adorable. So clever. I wonder if you could attach some of those little electric tea lights where the opening is. Just swinging by from SITS. So glad I did. I love your project. Oh, they would be so cute if they could light up! Perfect for a summer party! What a fun idea! Thanks, and thanks so much for pinning it! Oh my goodness! 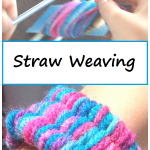 That is the cutest project for kids. I always have tons of water bottles in recycling. I am going to have to do this with my daughter! Glad to help you find a way to put some of those water bottles to use before they go for recycling! Hope you enjoy it with your little one as much as we did! Can’t wait to check out your blog! Glad to help you find a use for those bottles before they go to recycling! Hope you guys have as much fun making them as we did! Love BlogFrog! Can’t wait to check you out! Looks like fun! I can’t wait to have a child old enough to do stuff like this with. So creative! It looks like they really enjoyed it too! Oh my gosh, those are so stinkin’ cute! What a great idea! Thank you! They do look pretty cute hanging in the play area! Thank you; we had fun making them! Thanks! I looks like you have something sea-related too, can’t wait to check it out! I love the things you come up with. These are way too cute. Thanks! They are so cute hanging from the ceiling in their downstairs play area! Love this idea! I am so not crafty, but I feel like I could totally pull this off…and my girls would LOVE it! 🙂 Hope you have a fabulous SITS day! I hope your girls enjoy it as much as my little ones did! We still have ours hanging from the ceiling in the play area. And… if you have glow sticks, stick one in each fish and turn out the lights — pretty cool for a slumber party in the play area! Can’t wait to hop over and read your post! OMGoodness! How cute is that! This is totally being book marked. Stopping by from SITs!!! Thank you! We still have them hanging in the play area…. They are really fun if you add a glow stick to them at night! Super cute! And I love the cardboard play area, too. What a great idea. Thank you! The cardboard play area was a simple solution to keeping the kids in an approved area. I never knew it would work so well… We’ve had it up for over 2 years now. I love your fishy bottles. Such an easy and doable project. I have used craft glue for foam and ended up not liking it. When a new glue is on sale, I buy it and test it. Don’t have a favorite glue, yet. Enjoy your SITS Day. Thanks for all the comments today! Off to check out your blog! What a fun craft. 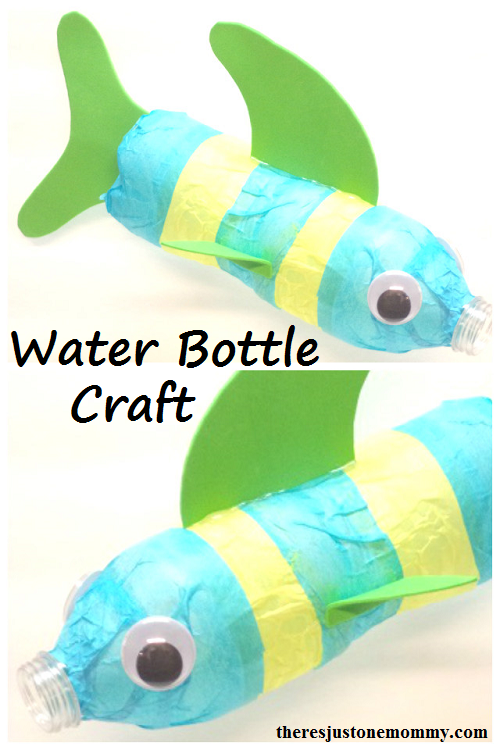 I bet you could use this craft to make Rainbow Fish. Do you know that book? Just a few aluminum foil scales. Happy SITS day. I blog about raising girls, mine are a bit older, but you still might find the posts helpful–if you have time (and you might not after all these SITS day comments)–you should stop by check it out. I haven’t read that book — we will have to look for it at the library this week. LOL — yes, it has definitely been a busy day keeping up with comments and still playing with the kids, but I am off to check out your blog! I love the title of it! Cute! 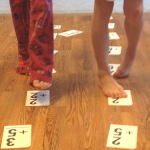 We could have used this idea in Vacation Bible School this past summer! Yes, I think it would be a great VBS craft! I’m sure people would have tons of water bottles to donate, too! Thanks for stopping in on my SITS day — off to read your blog! What and awesome craft! Happy SITS day!!! Thanks! Can’t wait to check out your blog! I never thought of that! I bet they would be fun in a kiddie pool of water… Hmmm…. So cute! I’m up for anything with a huge googly eye!! Yes, googly eyes make everything cuter! My boys would LOVE this idea! I so have to try! 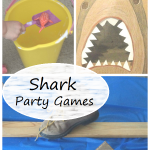 Thanks for the idea, stopping by from summer-bucket-list-link-party. Your fish are so cute! Great eco-kid project! I featured you today! Hope to see you there!